I am so glad so popped in to show us your interpretation of the sketch! 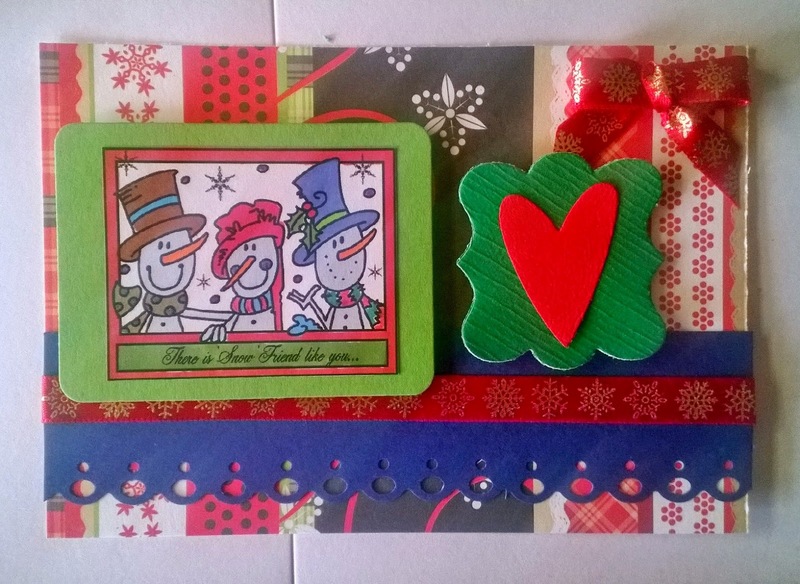 Thanks for joining in day 2 of Christmas in July with us here at Bugaboo Stamps this week! Good luck! I hope we see you joining in the rest of the week's challenges too! So cute! Thanks for playing in Bugaboo's Christmas in July challenge. Very cute Christmas card, thanks for joining us at Robyn's Fetish Christmas in July Challenge this week.